At one time, before technology toys ruled the roost, it was suggested that much of what children received for one Christmas could be re-wrapped and put under the tree the following year. That’s because they would have lost interest in those toys within a few days of the first holiday and by the next one would have forgotten about having received them at all. Many adults do exactly that to themselves every year. Come January 2nd, maybe before, they decide that next year will be different. That whatever it was they hoped to achieve, but failed to do so, will happen in the New Year. Unfortunately, for 90% of them, it doesn’t happen. For whatever reason, the urgent overtakes the important, or the less important supersedes the most important. Instead of gaining ground, they lose it. Instead of standing out, they continue to blend in with everyone else. 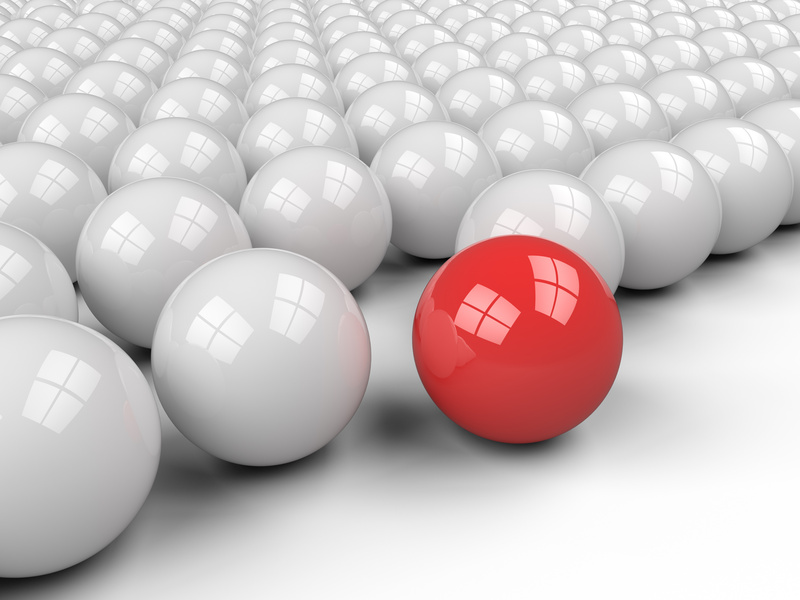 You may be among those who have tried to stand out, away from your peers, in the past. Maybe you started last year, or perhaps you’re one of those who have been starting over every year for a decade or more. It doesn’t matter. It’s never too late to start again. As the saying goes – Today is the first day of the rest of your life.The difference, of course, is that to get ahead it isn’t enough to keep up. You have to go beyond that. You have to stand out. Think of it like this. Most people are staying abreast of their colleagues. They are like runners in a pack. The winner, however, leaves the pack behind. That’s what you have to do. You have to set yourself up to succeed. That may seem obvious until you realize that most people play not to lose. There’s a difference. To play to win, you have to plan to win. To play so that you don’t lose is to plan to finish somewhere other than first. It’s a subtle, but critical distinction. A good place to start is with your professional development. You must learn to recognize that it is a journey. We call it lifelong learning. If you see it as the endpoint, then you are setting yourself up to be second best. That’s because there will always be those around you who are playing to win. While you’re pulling back just short of the tape, they are running through as if they had another ten or twenty meters to go. There are two kinds of learning: structured and unstructured. Most people engage in unstructured learning. They read and “study” online all the time, but it is entirely self-directed; and the problem with that is that they tend to work on the things that interest them, while overlooking the topics that will do them the most good. The things that are the most interesting tend to come easily and those that don’t require more effort. If you want to develop professionally so that you can stand out, then you need to find out how to structure your learning so that nothing important is left out. You can spend years on unstructured learning and never get what you really need to enable you to advance the way you want to. The next thing you should do is to make it easy for you to stick with your plan. It’s been said that most people overestimate what they can accomplish in a year and underestimate what they can accomplish in a decade. Maybe you don’t have ten years or would rather not invest that much time to take the next step. You may have a choice or you may not. The point is that you’re setting yourself up for failure if you try to accomplish too much within an insufficient period of time. It’s better to achieve less without being overstressed than to have a nervous breakdown while trying to do too much. Make sure that you build in extra time, not only for the unforeseen events in your life, but also for the rest and relaxation that’s necessary to recharge your physical, mental, and emotional batteries. There’s a third thing you can do is to make sure that you’re doing something that you really want to do. Psychologists talk about the pressure that people put on themselves. They refer to them as “should have, could have, and would have.” The fact is that you will have no problem making the effort to do something that you really want to do. Your schedule and your checkbook already demonstrate that. The problems arise when you try to sustain enthusiasm for doing something that doesn’t hold your interest. So while on the one hand you need to have structured learning so the important topics aren’t overlooked, on the other you need to be studying those things that hold your interest. Otherwise you’ll get distracted or be tempted to give up altogether. If the professional development that you’re pursuing is something you’d rather not do, then it’s possible that you’re trying to go in the wrong direction. A more sensible approach might be to stop, back up, and evaluate what your goals are. Then decide on a more suitable professional development program that will lead you to them. Remember that fewer than 10% of people accomplish any new thing that they set out to do each year, so the temptations to give up are very strong indeed. It’s not that they’re unwilling to change. Instead, it’s that the pain of doing so is greater than maintaining the status quo. If you want to stand out in your career, then you have to be willing to do more than your peers. To quote a cliché, “You have to go the extra mile.” That extra distance is an uncrowded path. Once you know the direction you should be going in, create a plan that you can follow, and then give it all you’ve got.